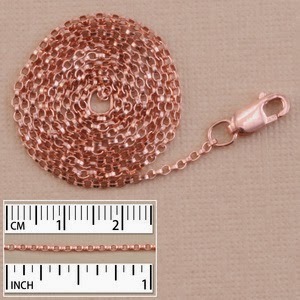 Beaducation: The Blog: Rose Gold is Here To Stay! Rose Gold is Here To Stay! Rose gold has made a huge splash this year and looks like it has staying power. We're glad, because it's so beautiful! Our first foray into this metal was a budget-friendly option -- rose gold filled. We started out with our staple circles and had such a high demand for new shapes that we branched out to our most popular hearts. 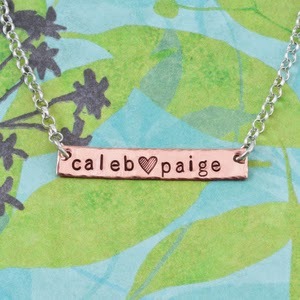 With the trend of the 'bar necklace', we continued to get requests for rectangles so folks could personalize them with stamped sentiments and hang them horizontally, simply by popping a hole on each end. We knew it wouldn't take long before our customers wanted the wire and chain, so we recently added in 22, 24 and 26g rose gold filled wire as well as two gorgeous finished Rolo chains in 16 and 18 inch lengths. You know how magazines are featuring a plethora of celebrities such as those Kardashians loving their gold bar necklaces, well it just might be your turn to stay ahead of the trend and trump them with a rose gold filled bar necklace! There has never been a better time to upgrade your favorite copper designs by creating them in rose gold filled -- especially with the holidays around the corner. This is the season to buy something truly special for loved ones and nothing says special like the blushing hue of rose gold filled items. A note about the quality of our rose gold filled items: not only with they not tarnish, mechanically bonded rose gold will not flake or rub off its brass core. It is there to stay without the worry of any allergic reaction.